I have such fun creating pieces like this, getting messy and playing! I truly relax, enjoy the process and let it become what it wants. There was initially loads of paper layers under this, but I got a bit carried away with the Impasto LOL!! I have one somewhere (packed/stored) You did a beautiful job. Gorgeous!!!! 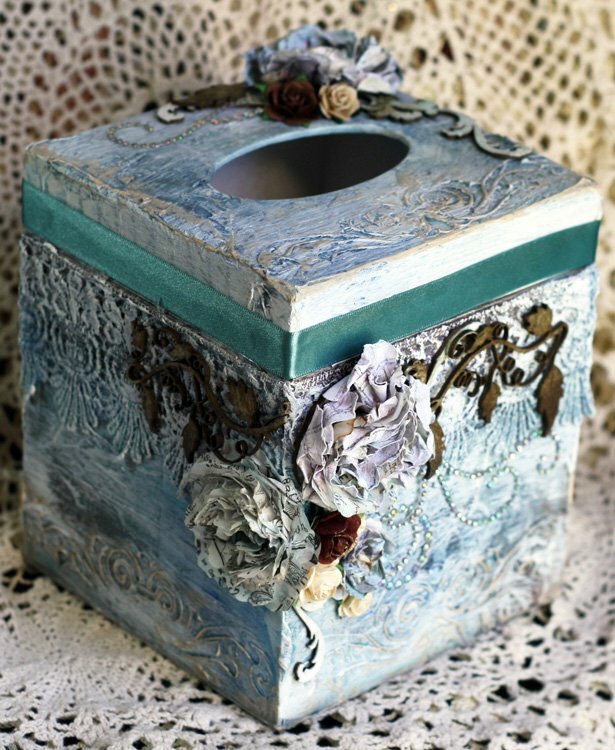 I bought a tissue box to cover a few weeks ago and have not yet done it but you have given me the inspiration to get going!!! Wow, I love the technique you used. This is fabulous.